A closer look at 4 bodybuilders who became professional wrestlers. When pro-wrestling finally went ‘mainstream’ in the 1980’s, it traded dusty exhibition halls for televised stadium events. As the spotlight shone ever greater, the physiques of the ‘wrasslers’ changed accordingly. With Rambo and Predator filling cinema screens, the audience demanded muscular action men with six packs rather than tough guys with missing teeth. Beer-bellied brawlers were replaced by towering titans chiseled from stone. For many, the first significant connection between bodybuilding and pro-wrestling can actually be traced back as far as the 1960’s. Although there had already been massively built wrestlers lifting weights, none had the physique of one ‘Superstar’ Billy Graham. Graham was a wrestling champion and close friend of the world’s best known bodybuilder – Arnold Schwarzenegger. The two were training partners and could often be found at the original Gold’s Gym on Venice Beach. Graham’s colorful ring attire and huge arms would set a trend that remains to this day in the world of ‘sports entertainment’. 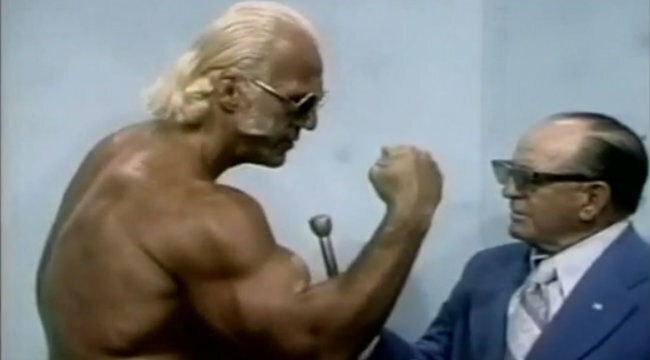 Kids are in awe of bulging biceps and young men look up to these statuesque examples of masculinity so it’s no surprise that ‘Superstar’ Billy Graham’s physique influenced many future wrestling stars including Hulk Hogan and Jesse Ventura. This ‘action hero’ look still dominates wrestling television shows today and while there has been a small move in modern times towards leaner, lighter bodies - the bulky look still holds strong.